Don’t you just love learning something new? As I scrolled through my Twitter feed this morning I clicked on a link that invitation designer Tara Bliven from Ephemera had posted, and low and behold, my mind was blown! Did you know the USPS produces a catalog called USA Philatelic and a sister website called Beyond the Perf that showcases stamp designs? 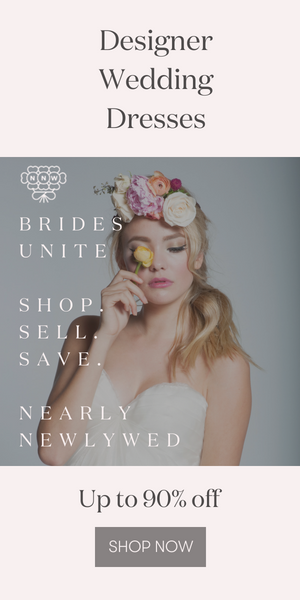 I sure didn’t, but what could be a better resources for couples looking for the perfect stamps for their wedding invitations and save-the-dates than that? The quarterly (and free!) USA Philatelic catalog is “your official source for the complete line of stamps and stamp products from the U.S. Postal Service. Inside you’ll find images and descriptions of what’s new and what’s coming, as well as detailed product listings and pricing.” It allows you to order all the stamps you’ll need from home, and the lovely website Beyond the Perf gives background into the artists, creative processes and histories behind many stamp designs. If you’re getting ready to send your wedding invitations out, or if you’re just a lover of good old-fashioned snail mail, check it out! Thanks for the link Tara! Glad you liked it! If I’m ever on Hoarders, it will be due to stamps and stationery. Luckily, they don’t take up too much room. The more (hoarding) the merrier! A great idea, nice stampes!